If you work in the marijuana industry in Canada, you will not be banned from entering the United States. A statement from the U.S. Customs and Border Protection Agency says anyone working in the legal pot industry in Canada will "generally be admissable" as long as the visit to the U.S. is unrelated to the marijuana industry. The news will be a relief for hundreds of Canadians already working to scale up Canada's legal pot industry ahead of the legalization of recreational marijuana on Oct. 17. It also appears to be an about-face for the American government. In September, agency spokespeople said anyone who admitted to working legally in Canada's cannabis shops and factories could be barred entry to the U.S. and possibly even be banned for life. Even just being an investor in a pot company could be enough to raise suspicion at the border. The statement issued this week also says a traveler is found to be coming to the U.S. for reasons related to the marijuana industry "may be deemed inadmissible." Bill Blair, Canada's Minister of Border Security and Organized Crime Reduction, tells CTV News that is exactly what American officials have been telling them for several weeks. "But I think the clarification that they've put out is very, very helpful and we're grateful for it of course. We always knew that if someone in Canada indicated that they were going into the United States to engage in the marijuana business that they would be prohibited from coming because it remains illegal in the United States." Blair adds all Canadians should know the rules before visiting the U.S.
"It's also a really to opportunity to continue to remind Canadians it is unlawful to take any amount of marijuana across that border in either direction. Canadians have to know that if they choose to do that they could be in serious jeopardy," says Blair. "So we'll have signs up, and there'll be education materials, but we'll constantly remind Canadians that you can't take any amount of cannabis across the border into the United States." Windsor West New Democrat MP Brian Masse is critical of the Trudeau government for not doing enough to inform Canadians about the border rules when it comes to marijuana. 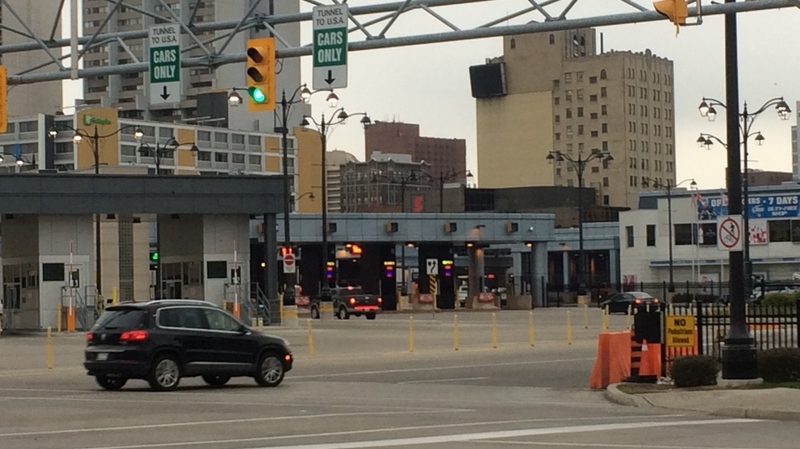 He claims there have already been issues at the Windsor-Detroit border. “Canadians have been detained and sent back and some of them actually barred from the United States for investing in cannabis operations that are legal in Canada,” alleges Masse. Canada's legal marijuana law takes effect Oct. 17 but, while several U.S. states have made pot legal, it remains illegal under U.S. federal law. Generally, a person who is a known drug abuser or has been convicted of or admitted to drug offences in the U.S., Canada or elsewhere, will be turned away at the border.